The Children's Book Academy is thrilled to introduce our small but spectacular faculty of expert instructors. 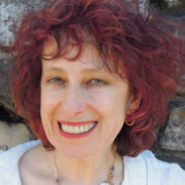 As the Director of the Academy, Dr. M﻿ira Reisberg still teaches a few courses and is co-teaching some others that will then be solo taught by our talented faculty. Mira has published 8 books, and worn many hats in the industry!! Hillary Homzie has published many children's books, particularly chapter books, which are one of her sweet spots. This year she will be teaching the Chapter Book Alchemist, a course that will teach you the ins and outs of writing magical and super fun chapter books. Find out more about Hillary here. Miranda Paul AKA the Grammar Queen, founder of Rate Your Story, English teacher, freelance editor extraordinaire, picture book author, and super funny person teaches you where to put that comma, quote, apostrophe, passive verses active voice ,and so much more in memorable ways in our self-paced Get Your Grammar Groove e-Course. Marsha Diane Arnold is the award-winning author of over 12 books with several more coming from top publishers. Marsha's books all feature strong characters in mostly character-driven stories. She teaches the highly regarded self-paced e-course Writing Wonderful Character-Driven Stories. Discover more about Marsha here. Mandy Yates is another student who proved to be so smart and wonderful that she joined our team of brilliant bloggers in the Mondays with Mandy or Mira series. She will be assisting Mira in teaching the next Craft and Business of Writing Children's Picture Books starting February 10th! Jessie Weirich brilliant organizer, artist, and children's book buyer. Leda Hosier an artist and fabulous assistant. Not to mention excellent cook!